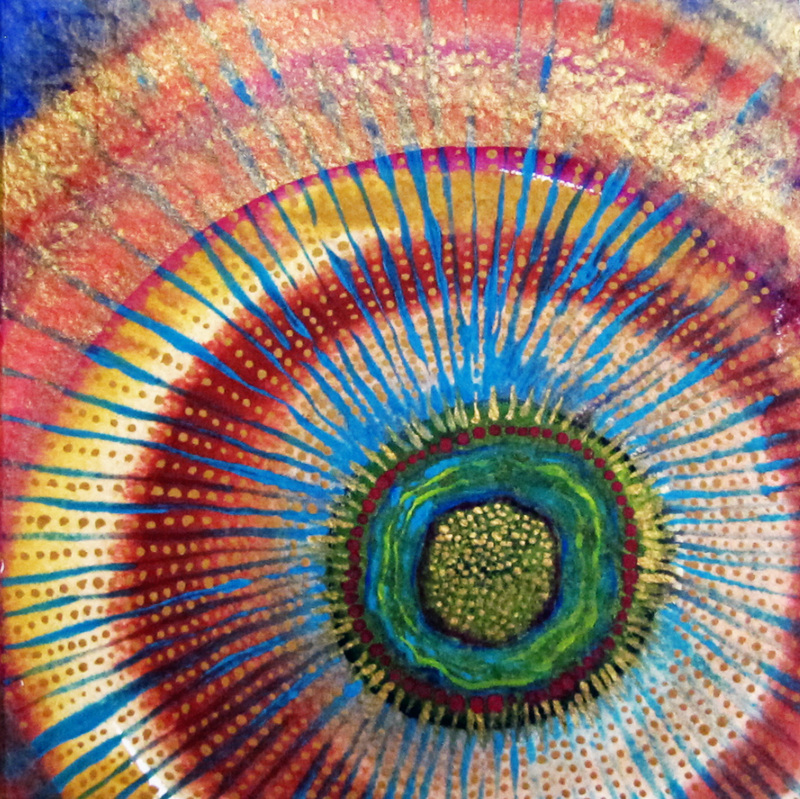 This original painting by art therapist Lisa Raye Garlock reflects the creativity inherent in the process of art-making. Adult coloring books are the rage. In the last few months the American Art Therapy Association has received many media inquires about the value of coloring books for adults as a self-care hobby for stress management. Some consumers and media have asked us about the difference between at-home coloring or for that matter any engagement with art on a private basis, and the art therapy profession. They are indeed separate topics with one commonality, that art making in and of itself is personally rewarding and potentially therapeutic. The American Art Therapy Association supports the use of coloring books for pleasure and self-care, however these uses should not be confused with the delivery of professional art therapy services, during which a client engages with a credentialed art therapist. The surge in popularity of adult use of coloring books is likely due to individuals tapping into and spreading the word about the intrinsic healing qualities of art that have served as a benefit to people of all cultures throughout history. Since engaging in any form of art can have stress-reducing value, it is no wonder that these sophisticated templates for adult coloring have taken on such great popularity or that there are specific uses when applied in the proper context. Coloring books provide a controlled, contained use of art for self-soothing purposes, and their success-oriented nature is conducive to fulfillment of the need for instant gratification. They can be completed by anyone with minimal risk. Preprinted designs allow for structure that facilitates safety and minimizes emotional risk which may explain their appeal to broader audiences. For instance, mandalas are often used to promote centering and stress reduction. This benefit can be enhanced when using mandala coloring books. Art therapists might offer coloring books to clients outside of treatment to support focusing and stress reduction. They might be offered as a beginning way to get back in touch with the creative self. Coloring books can also provide a structured way for the individual to feel engaged with the art process. Coloring is an active process that can serve as a practice of externalizing focus and redirecting individuals who are pre-occupied in unhealthy internal dialogue. Despite their apparent benefits, however, coloring books should not be confused with the creative process inherent in art-making that occurs in an art therapy session. Under the guidance of an art therapist, individuals may realize that certain images can tap into the internal experience of the artist in ways that evoke emotions or understanding. The trained art therapist might then guide individuals in focusing on those areas as a therapeutic intervention. Art therapy as an integrative mental health profession involves significant professional training and experience. Over the last 60 years the profession has progressed in the United States (and throughout the world), with the development of standards of training and a body of research to guide credentialed practitioners in the ethical practice of art therapy. Today, art therapy is practiced in a wide variety of settings including hospitals, psychiatric and rehabilitation facilities, wellness centers, forensic institutions, schools, crisis centers, senior communities, private practice, and other clinical and community settings. National requirements for professional entry into the practice of art therapy include, at minimum, a master’s degree and extensive post-graduate clinical experience under the supervision of credentialed art therapists—a process which typically requires a minimum of four years. Many art therapists also have a doctorate degree. The coloring book phenomenon is helping to reintroduce art as an important component of health and wellness. However, those seeking professional art therapy services are encouraged to consult a credentialed art therapist. For more information, contact The American Art Therapy Association (www.arttherapy.org) – the nation’s leading source of information related to the profession.